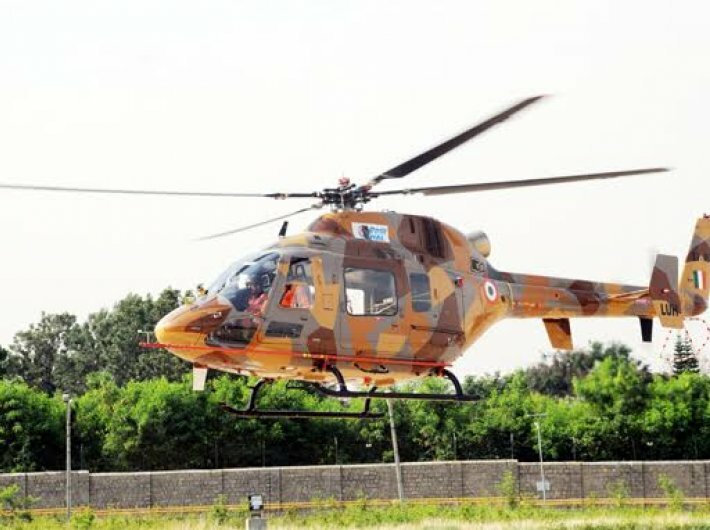 Hindustan Aeronautics Limited (HAL) carried out first flight of light utility helicopter (LUH)-PT-2 on May 22 at its Bengaluru-based facility. The flight duration was about 22 minutes and pilots reported nil snag, HAL said. “These maiden flights of indigenous aircraft are testimony to HAL’s rapid progress towards Make in India campaign both in fixed and rotary wing segments. These prototypes add strength to ongoing test flights to achieve operational clearance cutting the time frame,” said HAL CMD T Suvarna Raju. The PT2 helicopter has modified tail boom and incorporated improvements based on the feedback from testing of light utility helicopter PT1. The first flight of LUH PT1 was carried out on September 6, 2016 and further envelope expansion flights are in progress. LUH PT-1 made its flight demonstration during the international air show Aero India-2017 held in February 2017. HAL plans to carry out further flight testing on PT1 & PT2 in the months ahead to freeze the helicopter configuration by end of this year.